Whenever someone asks me how they can increase their ability to burn fat, the answer is simple. I tell them they need to get into a state of ketosis. Ketosis is literally the metabolic state of burning fat as an energy source as opposed to sugar. Once you are in this state, stored body fat suddenly becomes a readily available energy source. Most people are locked into a sugar burning metabolism that actually promotes fat gain while preventing any possibility of burning it off. Here I will explain what ketosis is and how you can maximize your fat burning potential by achieving this state. One of the primary strategies for doing so will be implementing a ketogenic lifestyle. I will also detail the many benefits of living this way along with advanced tips to optimize your health. Cells in the body need to make energy in order to perform functions. For most people, most of the time, this energy is created by the breakdown of glucose. This glucose is consumed in the form of carbohydrates in the diet and upon digestion is either burned for energy, stored as glycogen, or stored as fat. When blood sugar becomes low for a period of time, eventually the cells will need to find a different source of fuel. This is when the body will shift its metabolism and begin burning fat for energy instead of sugar. Before cells can turn fat into energy, dietary or stored body fats are converted in the liver to something called ketones. It is actually these ketones that can enter the cells, into the mitochondria, and be turned into energy. It is this metabolic state of burning ketones as energy that is referred to as ketosis. As you can see above, the primary stimulus for achieving ketosis is a prolonged period of low blood sugar. There are a number of different ways to achieve this state however. Ketones, as briefly mentioned above, are the byproducts of fat metabolism. The liver takes dietary fat or stored body fat and converts it into ketones before they can be metabolized by the mitochondria to produce ATP (energy). BHB, based on its molecular structure, is not really a true ketone. However, its presence is part of the beneficial effects of being in ketosis. Among its benefits is the ability to modulate BDNF in the brain and stimulate the growth of new neural tissue (3). Now that you know what ketosis is, it helps to have a little more context. Why would someone want to be in ketosis? Well, it seems there is an increasing number of benefits to being in this fat-burning state. Once you free yourself from the ups and downs of burning sugar as your primary energy source, the first thing you will likely notice is more energy and a feeling of balance. Additionally, there are a number of changes that occur in the body. Excessive body fat is commonly caused by the over-consumption of sugar. These individuals will likely also be dealing with some level of insulin resistance and chronic inflammation that throws off fat burring hormones further. Once you are in a state of ketosis, these effects are reversed and stored body fat suddenly becomes a source of energy. This makes losing weight much easier. 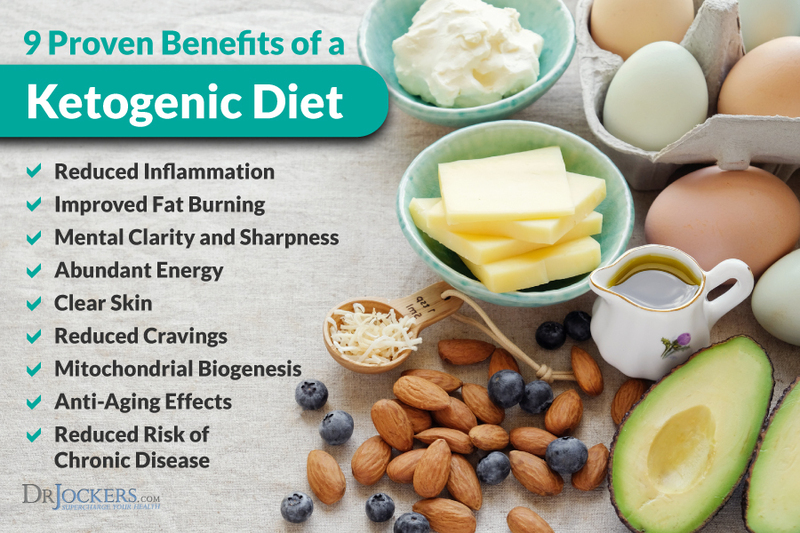 Recent studies have shown that consuming a high-fat, low-carb diet is superior to a low-fat diet for aiding in weight loss and improving risk factors for heart disease (1, 2). This is contrary to popular belief for many years. As I briefly mentioned already, most people are locked into a sugar burning metabolism that is prone to cause insulin resistance. Insulin resistance is the hormone that transports sugar into cells so that it can be used for energy. When blood sugar is chronically elevated, cells start to become less responsive to insulin signaling, requiring more insulin to be released for the same effect. Elevated insulin is highly inflammatory and contributes to weight gain. 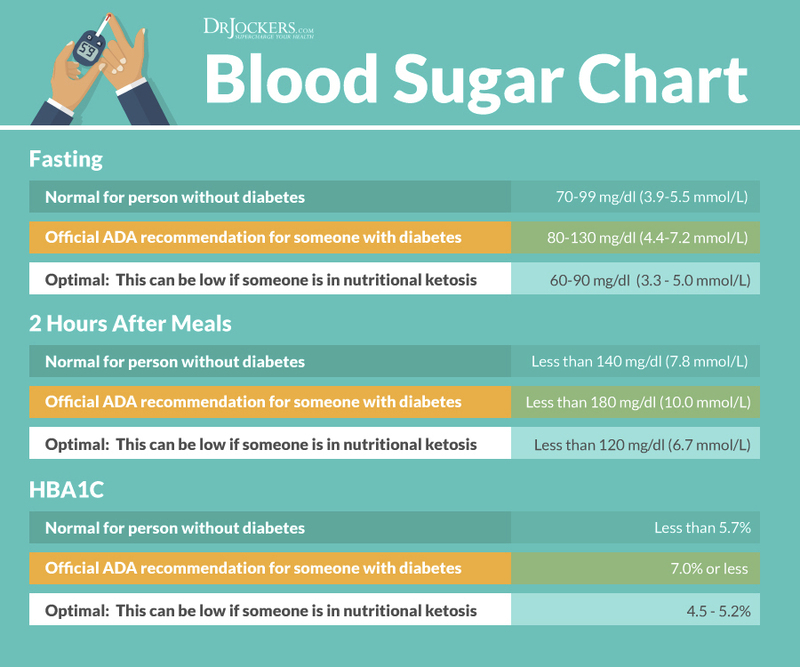 Other signs of poor blood sugar regulation include fluctuating energy levels, sudden and intense hunger, brain fog, and emotional instability. Moving into a state of ketosis naturally balances blood sugar as ketones become the primary source of energy. Being in this state over a period of time gives insulin receptors a rest, allowing them to return to a much more responsive state (3). Ketosis mimics a state of starvation. Switching from a sugar metabolism to fat metabolism is actually a mild stressor on mitochondria. This stress promotes a process called mitochondrial biogenesis (4). This is essentially the process in which new mitochondria are formed in the cells. The more mitochondria, and the more efficiently they function, the healthier the individual will be, generally speaking. Mitochondrial dysfunction is thought to be at the root of many chronic diseases of today including obesity, diabetes, cancer, autoimmunity, and potentially many others. Considering the wide-spread implications of having healthy mitochondria, ketosis is a foundational health strategy I use and recommend on a daily basis. As you can imagine, when you have more mitochondria that are working well, you produce more energy. Another thing to keep in mind is that fats also produce more energy per gram than sugar. Consequently, there are millions of testimonials backing this up from people raving about the energy they feel when in ketosis. This is why I personally am in ketosis most of the time. It allows me to maintain a high level of mental acuity to balance a busy lifestyle with social and family life. One thing to keep in mind is that some people face a down period in the transition from a regular diet to a ketogenic lifestyle that may be discouraging. As your body shifts its metabolism and relearns how to burn fats, you may not experience the endless amounts of energy yet. Be patient! Reading up on the effects of keto flu can be helpful as well to familiarize yourself and learn how to troubleshoot common ketosis roadblocks along the way. The brain requires a lot of energy. This is likely why it is one of the most heavily concentrated areas of mitochondria in the body. Given the previous benefits mentioned, the benefits of ketosis for mitochondria naturally provide a benefit for brain power as well. As mitochondria are enhanced with a cleaner energy source, there is a substantial decrease in inflammation throughout the body, a primary driver of neurological issues (5). Another reason it is so powerful for brain health is because it appears that ketone metabolism helps to promote the growth of new neurons in the brain. It potentially does this by stimulating the release of a chemical called brain derived neurotrophic factor (BDNF) (6). Finally, another huge benefit for many people is that when the brain is running on ketones, it might improve the conversion of the stimulatory neurotransmitter glutamate into GABA (7). GABA is like the breaks for your brain. Many people suffer from excessive glutamate, or glutamate dominance, which results in stress and anxiety. Promoting the formation of GABA is a great remedy for this. 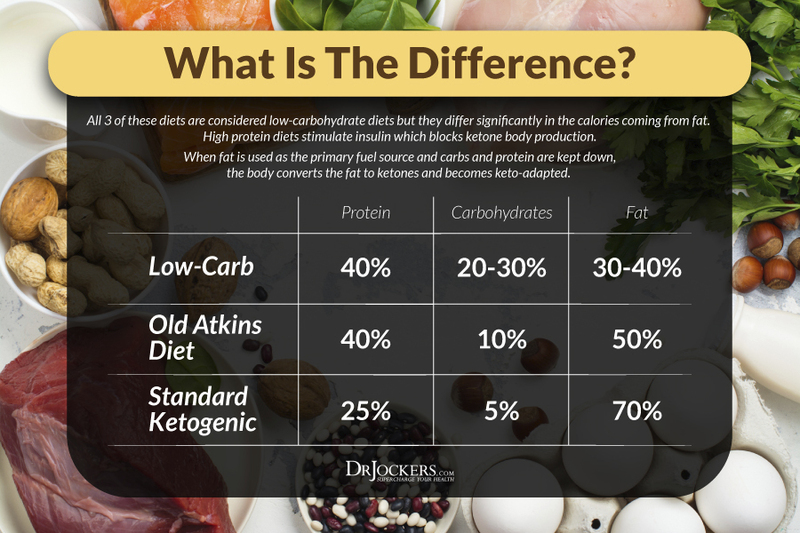 Ketosis does not become the primary metabolic state of the body until two parameters are met: 1) blood sugar and insulin must be very low, and 2) there must be enough fat (dietary or body fat) to be utilized as energy instead. There are a number of ways to take advantage of this mechanism and promote a fat burning state in the body. Likely the quickest way of getting into ketosis is water fasting. This is where you simply refrain from eating food and consume only water for 24+ hours until blood sugar becomes low. At this point, the body will switch over to burning body fat instead. There are a number of benefits to performing a fast like this including: easing gut issues, boosting the immune system, boosting cognitive function, and increasing growth hormone. Another option is to perform a fat fast. This is where you refrain from consuming proteins and carbs and instead only consume fats. Something I often recommend is consuming a Turmeric Fat Burning Coffee to provide healthy fats to help get into ketosis. Recent research has also shown that consuming caffeine assists in ketone formation. If water fasting is not for you, the combination of healthy fats and coffee may be more your style. As mentioned already, two criteria must be met to support ketone formation in the body: low sugar supply and adequate fat supply. While fasting can help get you into ketosis, maintaining ketosis will require a ketogenic diet. This is where your diet consumes of 70-80% healthy fats, 15-20% proteins, and very low amounts of carbs. Eating this way will ensure the body is able to maintain a fat burning state. If you have never attempted a ketogenic diet, I suggest performing a Keto Metabolic Makeover to get started. If you are someone who likes to have everything laid out in front of you in detail, or are just looking for a solid meal plan and recipes, then my online Ketogenic Lifestyle Program has everything you need to meet your health goals. Similar to fasting, performing high-intensity exercise that uses large muscle groups in rapid bursts is a great way to quickly burn up sugar stores and switch the body into a fat burning metabolism. If your goal is weight loss, then performing high intensity exercise while in a fasted state 3-4 times per week may be one of your most helpful strategies to take advantage of. If your goal is performance and building muscle, then using an essential amino acids powder or something like Keto Edge can be excellent to use before and during your fasted workouts. Consuming coffee or another source of caffeine in the morning, perhaps during an intermittent fast, is a powerful way to stimulate ketone production. A recent study found that caffeine consumption in the morning significantly increased ketones in a dose-dependent manner (5). If you are sensitive to caffeine, then this one may not be the best option. However, if you are a big coffee or tea drinker, try out this Fat Burning Coffee or this Keto Matcha Green Tea to provide a caffeine boost and dose of healthy fats to get your day started. This combination is especially great for those who find themselves with massive cravings around lunch time. MCT stands for medium chain triglyceride. It is a type of fat that occurs naturally in coconuts and palm oil. 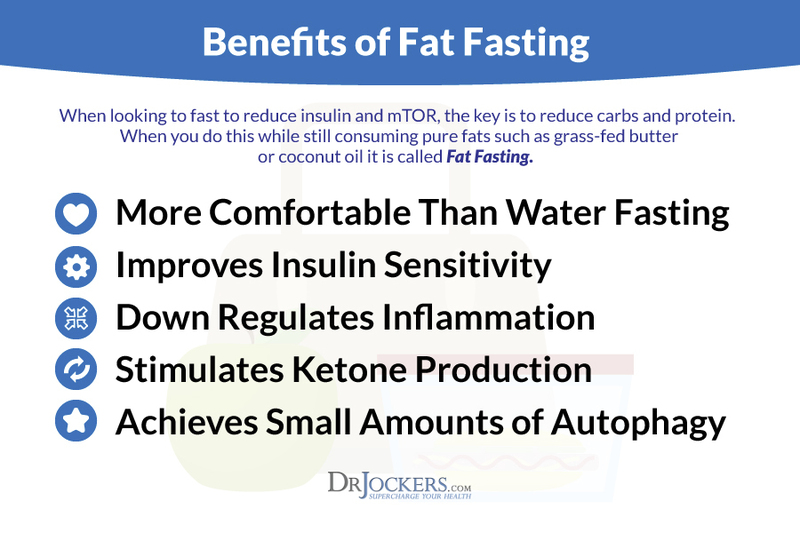 This kind of fat is very easily converted into ketones for energy but unfortunately, it only occurs in relatively small doses in coconuts or palm kernel oil. 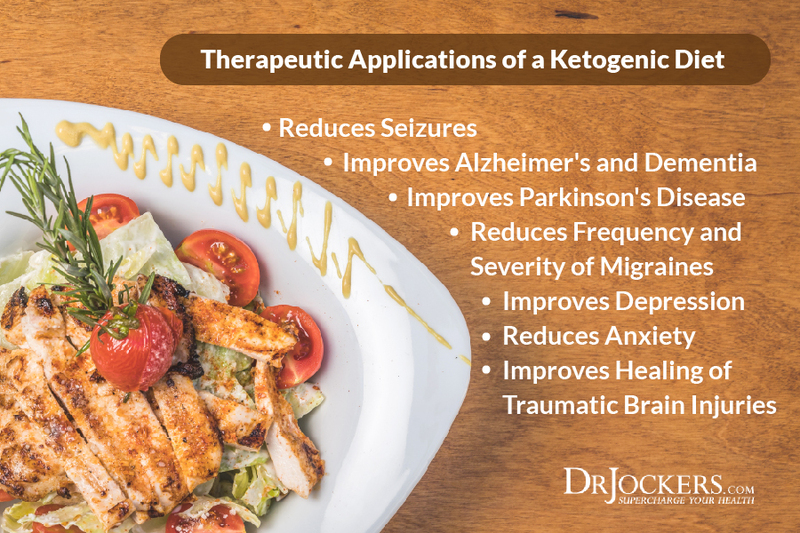 Luckily, researchers have been able to extract and concentrate MCTs into a concentrated form that can be an excellent companion for ketosis. This tasteless oil can be consumed alone, added to smoothies, drizzled over food, or blended into a fat burning coffee to provide ketones for energy. When looking for an MCT oil, it is important to avoid those containing lauric acid. This is because, although it is technically an MCT, it does not convert into ketones very well. I recommend using an MCT oil that is made primarily of the C8 and C10 MCTs, such as this one. A new and game-changing development in the world of ketosis is supplemental exogenous ketones. While MCT oil is great for providing a readily available source of ketones, exogenous ketones take it a step further and quickly place the body in a state of ketosis. Combining exogenous ketones along with MCT oil helps to quickly raise ketones and maintain them for an extended amount of time. This is a great combination for people who are new to a ketogenic lifestyle, those experiencing keto flu, or those who are having a hard time getting into ketosis. Additionally, exogenous ketones and MCT powder help to maintain ketosis during times when carb intake is higher than usual. I personally recommend Keto Edge as an outstanding product to serve as a ketosis companion. In addition to exogenous ketones and MCT powder, it also contains branched chain amino acids to support muscle growth and 6 different medicinal mushroom extracts to support cognitive function, immune system strength, and oxygenation of tissues. There are reliable ways of getting into ketosis, however everyone responds a little differently. Some can tolerate more carbohydrate than others while others must keep it very low. There are a number of factors that can influence you state of ketosis. The best way to know if you are in ketosis is to actually measure your ketone levels. This is best done either through the breath or through blood. 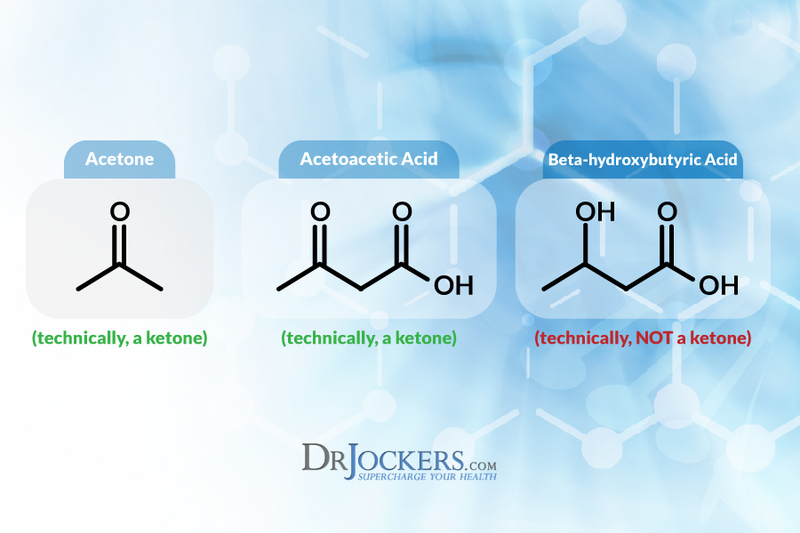 Urine can also be tested for ketones; however, it is not as accurate. Blood testing is generally considered the gold standard for measuring your ketone levels. The issue with this is that the supplies can be quite expensive. The Keto Mojo here is a great option being very cost effective while doubling as a blood glucose monitor as well. Breath testing is also very accurate. People often prefer it over blood testing as it doesn’t require a blood prick, only requires a one-time cost (no blood strips and lancets), and it is super simple to perform. You simply breath into a device and it displays your level of ketosis. This test could be performed with something like the Ketonix Breath Monitor. Ketosis is a natural metabolic state that our bodies are designed to move in and out of periodically. Research is showing that being in this fat burning state has several benefits for the body including lowered inflammation, improved energy, heightened brain function, and emotional stability. Getting into ketosis requires blood sugar to become very low while having adequate dietary or body fat to provide a source of ketones to the cells. Your state of ketosis can be heightened through fasting, ketogenic diet, MCT Oils, Exogenous ketones, caffeine, and high intensity exercise. If you are new to the idea of ketosis and want to get started, I would recommend a Keto Metabolic Makeover month as a way to kick start your metabolism and regain your fat burning potential. 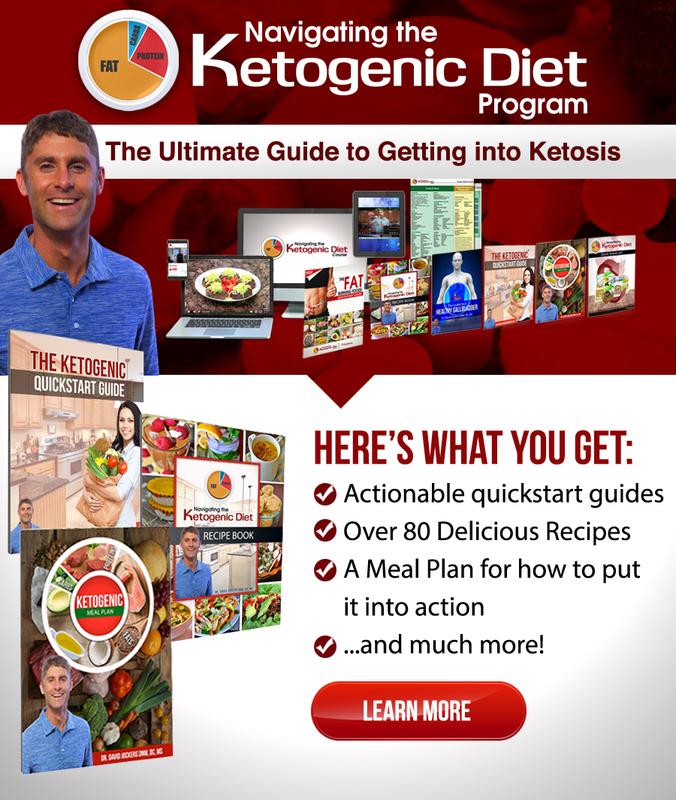 I have also designed one of the most comprehensive online ketogenic courses that has everything from recipes, shopping guides, and a meal plan, to advanced healing strategies and tips to derive maximum benefits from ketosis. You can find my Ketogenic program here: Ketogenic Program.